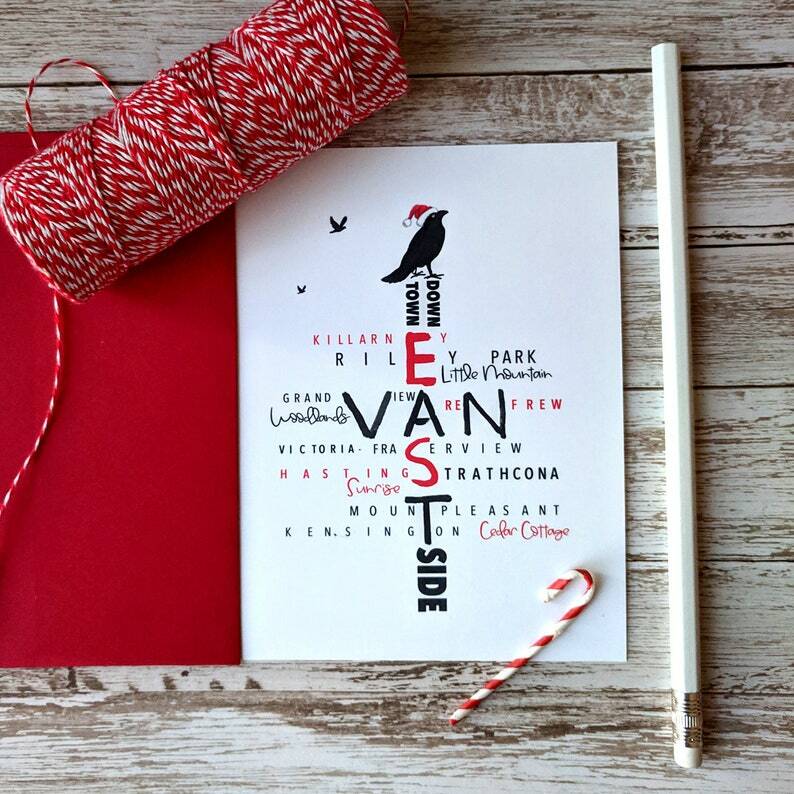 Illustrated Christmas Card specifically for EAST VAN lovers. Crows are notorious for roosting in Vancouver urban areas, safe from predators. Since the 1970s they have been known to settle in night after night in the same trees and power lines.